First Branch of the Union of Thai Traditional Medicine Society of Thailand in USA. Location in Boulder, Colorado. 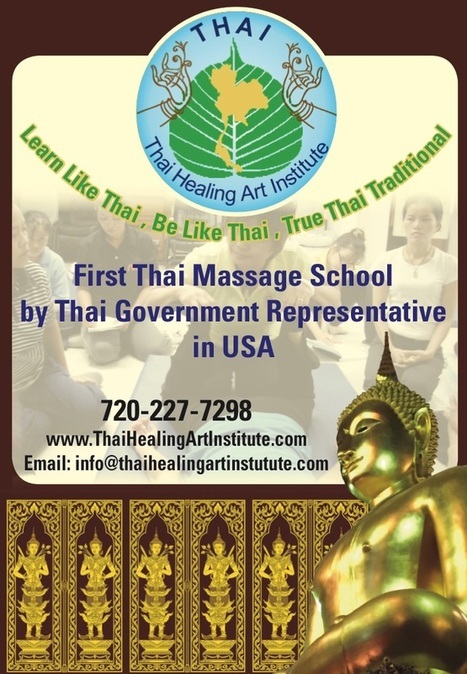 The only Thai massage school in USA representative from Thai Government. 1. Sat/Sun on May,2019 : Thai Massage Class. 8 Days (May 4,5,11,12,18,19,25,26 at 9am-5pm). 3. Jun 15-16,2019 : Hand reflexology. 2 Days (9am-5pm). Require to take Foot reflexology class first. 5. Nov23-Dec17,2019 : Learn Thai Herbs and Toksen massage with tour in Thailand.